Shopping for Alice in Wonderland Artwork? 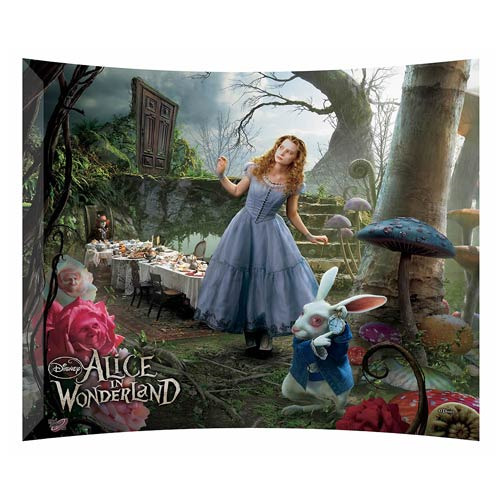 This stunning Alice In Wonderland Alice in the Garden Glass Photo has been created using technology that allows a high resolution photograph to be fused permanently into into the glass. Light passes through the image into the glass making every picture a true piece of art. Shows Alice, the Mad Hatter, and the March Hare. Free-standing curved glass presentation measures 12-inches wide x 10-inches tall.